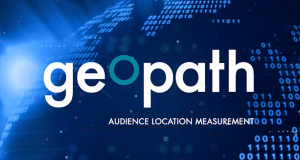 With Geopath’s next iteration of OOH measurement – MORE (Mobile Optimization and Ratings Enhancement) – we will now have similar targeting capabilities as digital! By powering our new measurement system with data from mobile phones and GPS units, OOH advertisers can better understand who they are reaching. It’s no big reveal that small businesses are the engine that drives our economy. According to the U.S. Small Business Administration, there are more than 28MM small businesses in the U.S. which account for 54% of ALL U.S. sales. Small businesses provide 55% of all jobs in this country and have accounted for almost two-thirds of all net new jobs since the 1970s. And while the corporate sector has been downsizing, the rate of small business starts has increased. The number of small businesses in the United States has increased by almost 50% since 1982, and as big businesses have eliminated jobs – 4MM jobs since 1990 – the small business sector has added 8MM new jobs! What does that mean for the OOH industry? A lot of local marketing dollars! According to Gordon Borrell, CEO of Borrell Associates, U.S. businesses spend more than $325B on advertising, but much more – approximately $1.5T – on other marketing activities overall. This includes things such as promotions, but increasingly includes other activities like website maintenance, and developing their social media presence. All of which are available dollars for local OOH advertising. But where is that money going? 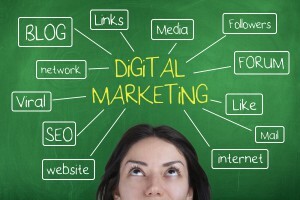 Additional research from Borrell Associates, shows that small business are taking more of these marketing efforts in house and moving the dollars into areas they are more comfortable with – like digital. Three-quarters are buying social media advertising. Facebook is a key channel, with 62% of small businesses buying Facebook ads (up from 33% from just a year ago). They are using it because it is a channel they are comfortable with and see it to be cheaper, targeted and ultimately more effective – 90% say their Facebook ads have been effective (Source: Borrell Associates). What does this mean for OOH? It means that small business owners are becoming increasingly more digitally savvy. They are more comfortable with the suite of digital tools available to them and are coming to expect the same capabilities in other areas of their marketing efforts – including OOH advertising. Have you tried to buy a Facebook ad? I encourage anyone selling OOH to try it to better understand what you are competing against. It is super easy and allows you target based on demographics as well as interests, devices, or even past actions (Source: Facebook). Think of it this way, every piece of inventory out there has its own unique story to tell through data and analytics. Every location has its own unique audience composition that it reaches throughout each hour of every day. Now, through MORE, local advertisers will be able to use this insight to target similar customer segments they target on Facebook – or any other platform on which they currently market their business. There are more than 1.1 billion trips taken each day by consumers in this country, 45% of these trips are with intent to purchase a good or service (Source: USDOT) – usually at the local level. It’s vital to help our local advertisers understand how to reach their specific target at the right time and in the right location – before they’ve made the decision to buy. With MORE, advertisers will now be able to identify the best pieces of inventory to reach their specific target audience – while they are on the go. Click here to learn more about MORE! For more information on how how consumers are using social media check out the Sales Tips section of the OAAA website.